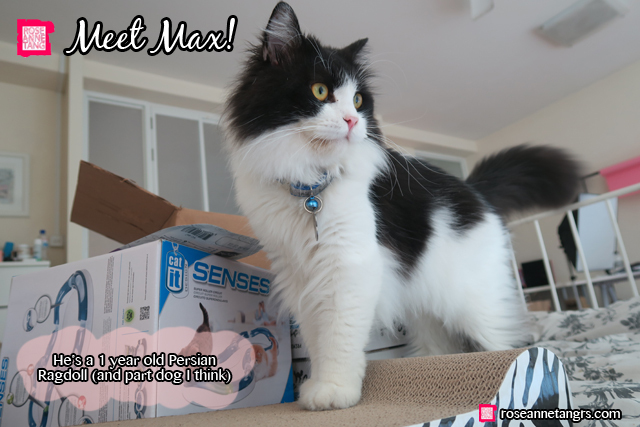 Today I am so excited because it’s my first post about Max, my cat. I’ve had him for just about short of a year and he is definitely my darling. He’s a 1 year old Persian Ragdoll cat that I adopted and he seriously sometimes is more dog than cat. He follows me everywhere and lives and breathes attention and love (I know weird for a cat right?). 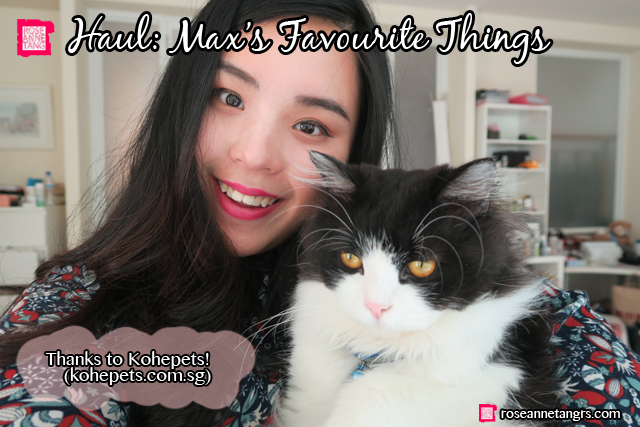 As Max is my first cat, I’ve learned so much about taking good care of him that I can’t wait to share here and show you more about an online store called Kohepets! They very kindly sponsored the items here in this haul and I ordered what Max seriously loves, and maybe a thing or two that’s new! 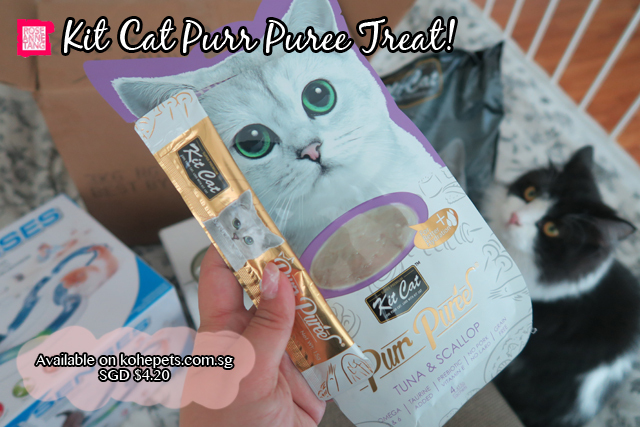 If you need anything pet related, it’s so good to have a go-to online pet store (lugging cat litter and food around is seriously heavy) and the delivery that Kohepets has is on point! 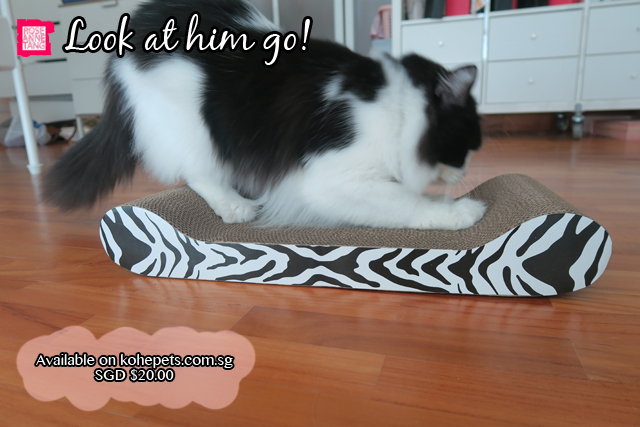 Check them out at kohepets.com.sg! 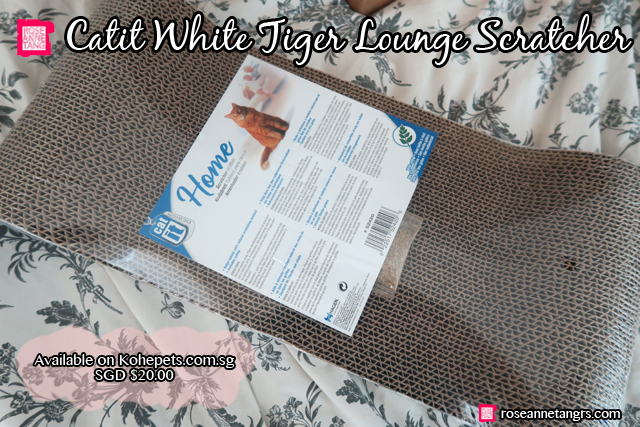 Let’s take a look at what I ordered from Kohepets! Max already wanted to jump into this box, I’m not sure what is with cats and boxes. When you think of a traditional scratcher, you would think the hard rope around a pole right? Well, I’ve totally given up on them. I only use cardboard scratchers for Max now. I used to have the rope scratcher but one day Max kept getting his claws stuck between the rope. He literally hung there for 5 minutes with his paw stuck yowling away until I figured out a way to free him. His nails weren’t that long either and I guess it was because the rope was kind of giving way already. Ever since then, I’ve not look back on them. 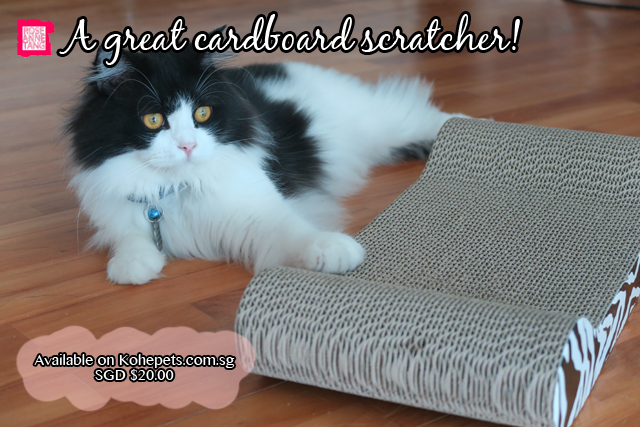 There are tons of cardboard scratchers out there and I love this one from Catit, and so does Max. The minute I put it down, Max was already on it scratching away. It’as always good to get a flat one so he can dig his hind paws into the scratcher giving him grip to go crazy with his front paws. Scratchers are so important! I made sure to have mine ready when Max first came in the house and now he doesn’t scratch my furniture at all. Next up, what’s Max’s favourite treat? It’s the Kit Cat Purr Puree. I initially saw this on my friend’s cat instagram page and was intrigued by this. 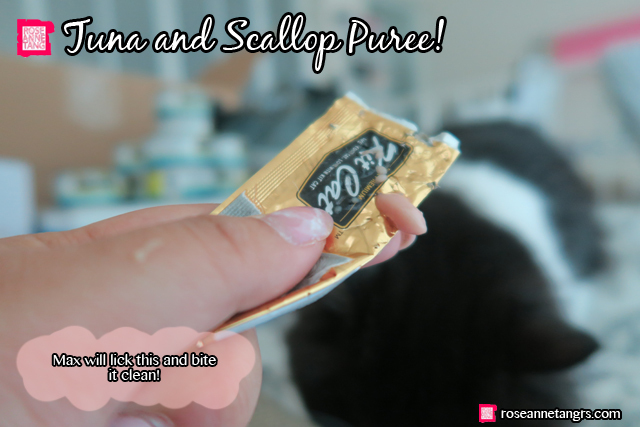 It’s a sachet of puree that you rip the top open and squeeze the puree out for your cat to lick up! It’s seriously Max’s favourite. He usually doesn’t wait for me to squeeze out the puree and insists on biting the sachet for more. 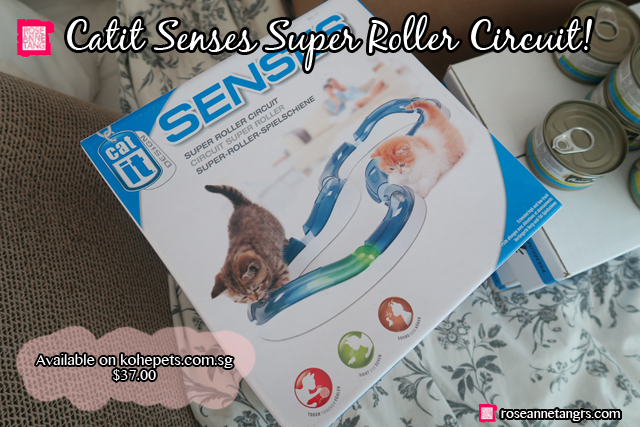 If you have a cat, you need to get this. I usually give this treat when Max is specially patient – like after he takes his bath or cuts his nails. It’s also useful to have a treat that your cat really likes in case of any emergencies. Max is an indoor cat and he has accidentally run out before. We used this treat to lure him back and it worked really well. As you can see, it literally is puree that your cat can lick up! 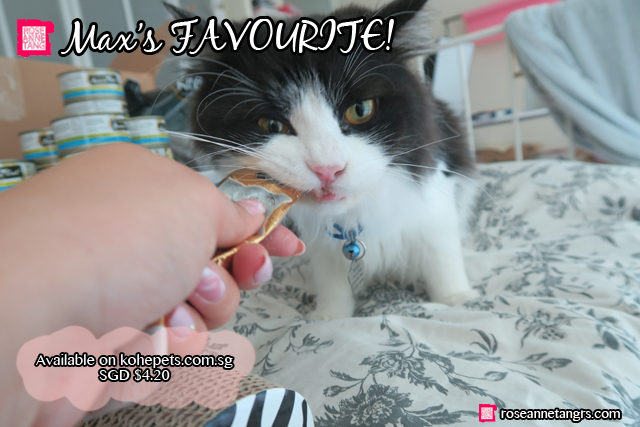 Max really likes anything tuna flavoured, but doesn’t like salmon very much. Freeze dried fish also works really well with him. Max loves wet food. Sometimes, he actually insists on waiting for me before he eats his dry food but I don’t want to spoil him. There’s a common debate for wet vs. dry food, and many sides to take. Max’s vet says he can live off dry food and be fine but the internet says it’s a recipe for diseases like kidney problems. I say do a mix of both. Max doesn’t get wet food for both meals, but just for one. The other I have a automated feeder for him to dispense Orijen brand dry food at scheduled timings. 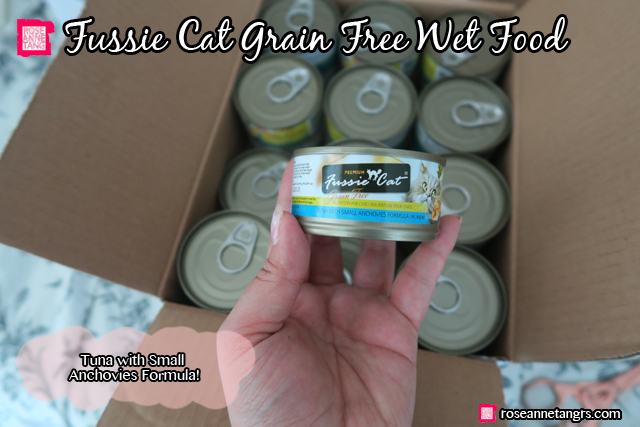 His favourite food happens to be Fussie Cat for wet food – which is weird as I’ve tried many cat food brands especially the more premium ones and they all are not preferred, he especially does not like pate food and insists on actual fish parts. When I open a can of Fussie cat, I can see it’s come from a fish as even the anchovies in this are whole. I usually open up a can, smoosh it into his plate and put a dash of added water. He loves it. I hope to integrate more raw food into his diet sometime soon. I feel like everything might be a little processed. He likes raw chicken breast but won’t take raw fish. Even raw salmon! Last of all, is this! I did also order Kit Cat Charcoal Litter which I think clumps the best but this is the last one I’m most excited about! I’ve seen this everywhere and I’ve always wanted to get my hands on this one for Max and I’m so happy to have it now! Occasionally, I’m out working all day and I don’t get to see Max until late, so I always wonder what he could be doing when I’m not there. This is a like a maze with a ball inside that can light up when it rolls around in the track. There are only small places that he can paw into, so he will never be able to get the ball but he has fun chasing it! Max likes this but sometimes he is lazy to play with it. I’m just happy it’s there in case he might want to again! 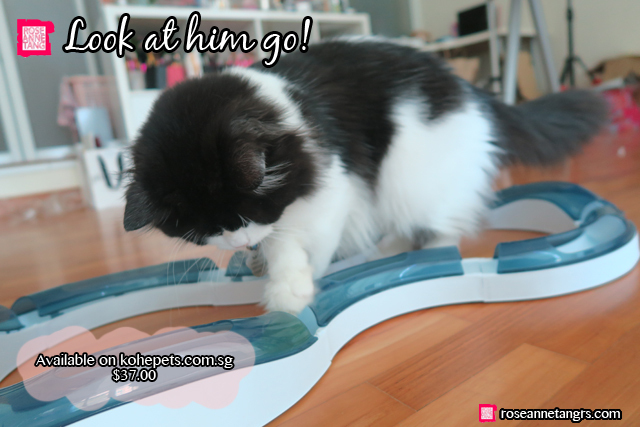 Overall, thank you so much to Kohepets.com.sg for making Max a very happy kitty today. There are just so many brands that Kohepets carries and it was such a pleasure collaborating with them. You can also choose your delivery slot when you want your items delivered and they will be couriered to you! 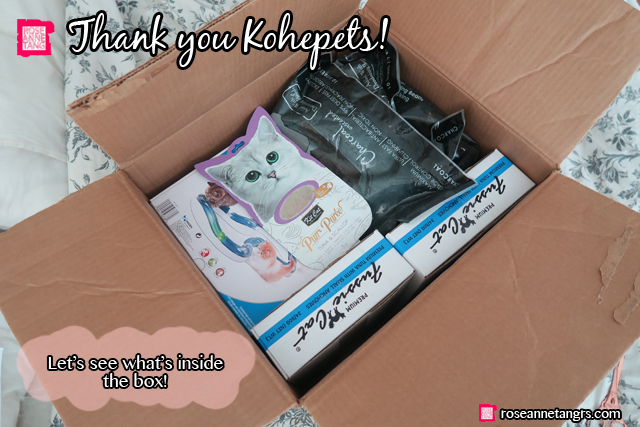 Thank you so much Kohepets! 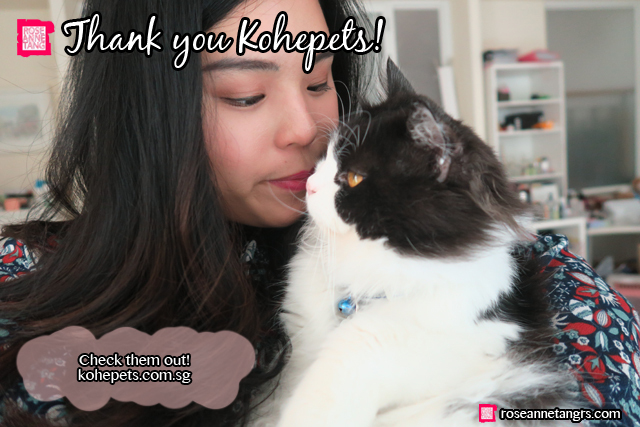 Please check them out at kohepets.com.sg and tell me what your favourites were in the comments section below!